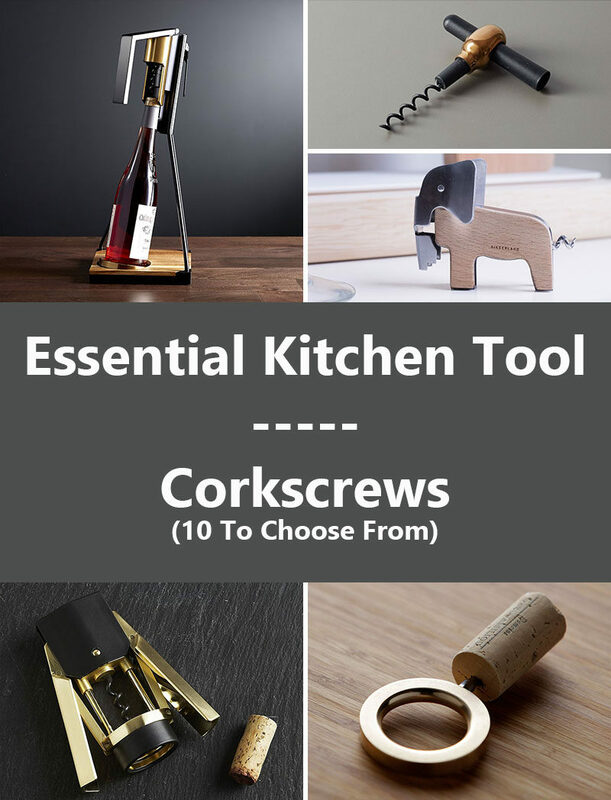 Corkscrews come in a huge range of styles. 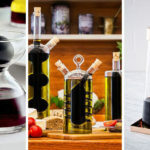 From simple ones, to mechanical ones, to full on electric ones, here are 10 corkscrews that will make getting into that bottle of wine faster, easier, and more stylish. 1. 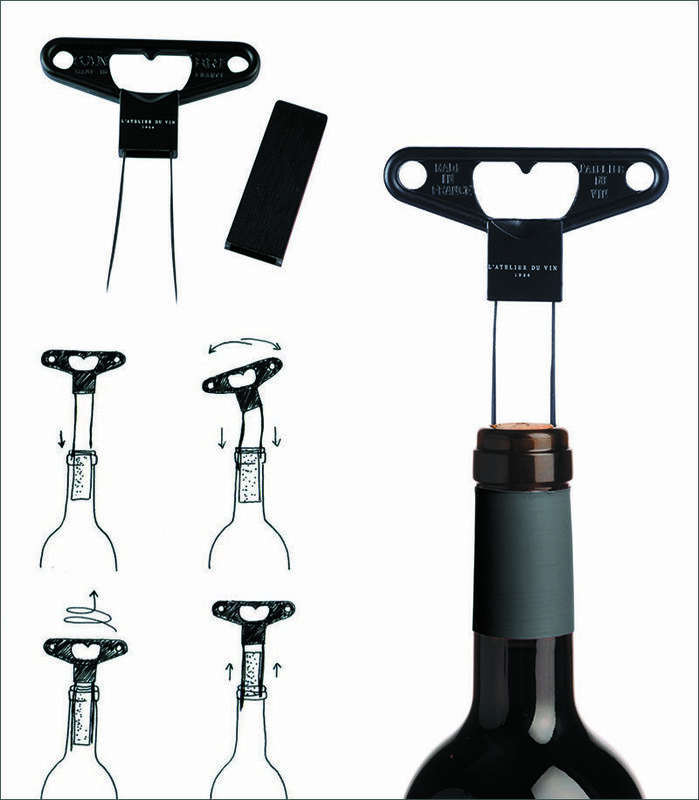 This simple corkscrew features a protective silicone cover that slides off and fits perfectly through the hole on top of the corkscrew to create a lever that makes it easy to twist into the cork. 2. 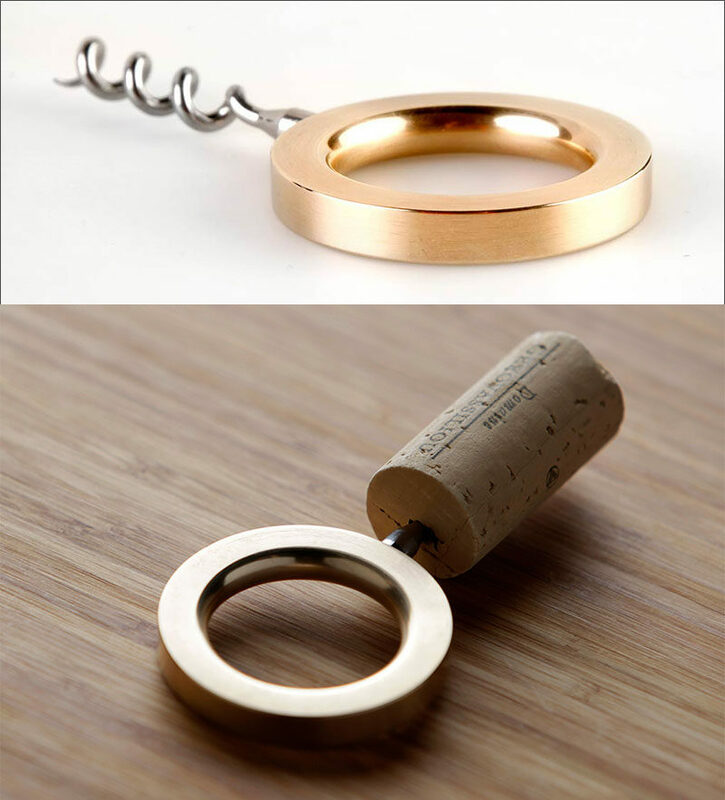 Another simple corkscrew, this one has two holes in the top allowing it to be worn like a ring, facilitating extra pulling force. 3. 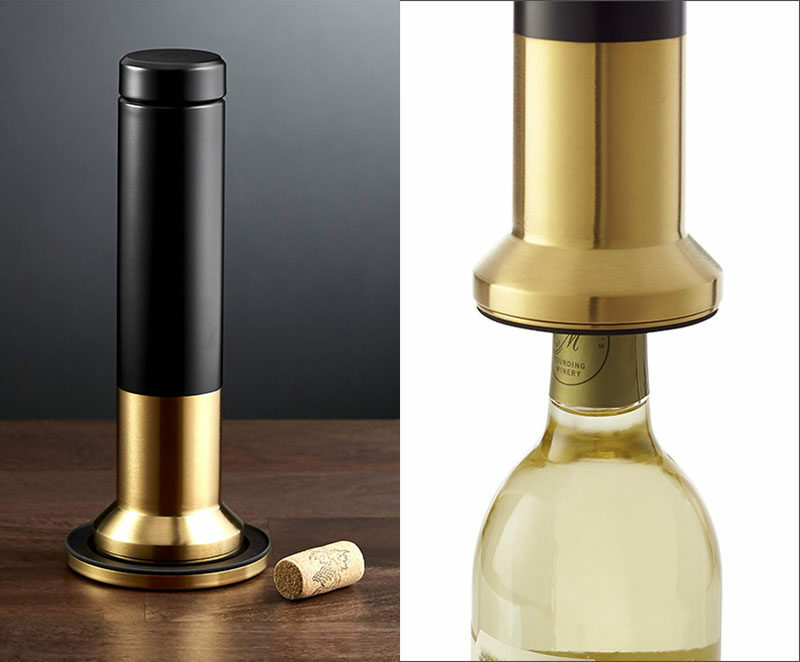 This tabletop corkscrew features a tilting base that helps stabilize the bottle while the lever glides up and down to smoothly open bottles. 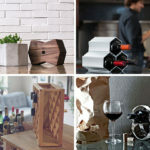 Rabbit Tabletop Corkscrew by RBT Barware – available through Crate&Barrel. 4. Simply place this corkscrew on top of a bottle, open the wings to force the screw into the cork, and close them again to pull it up and out. 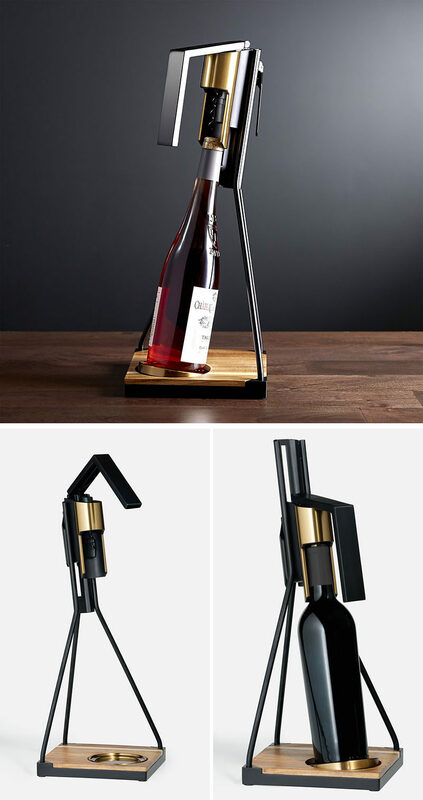 Wing Corkscrew by RBT Barware – available through Crate&Barrel. 5. The round O on top of this corkscrew has enough space in it for getting just the right amount of leverage. 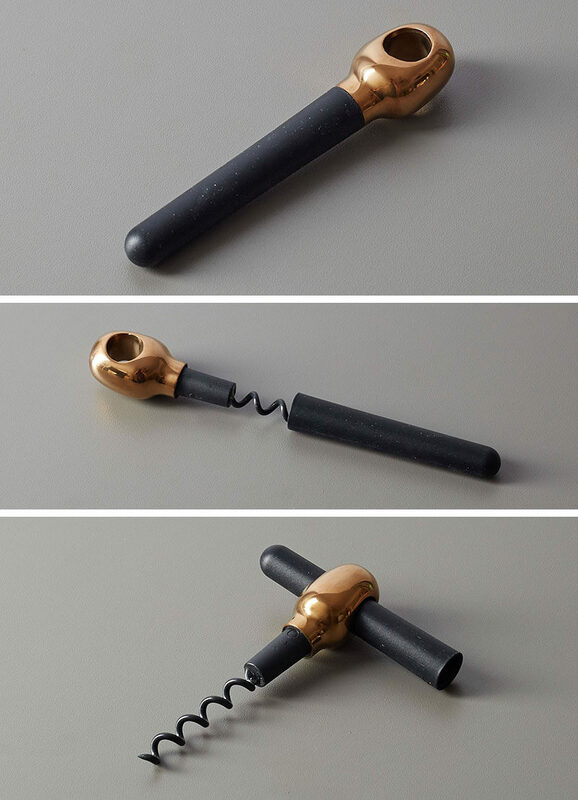 O Corkscrew designed by Athanasios Babalis. Available through twentytwentyone. 6. 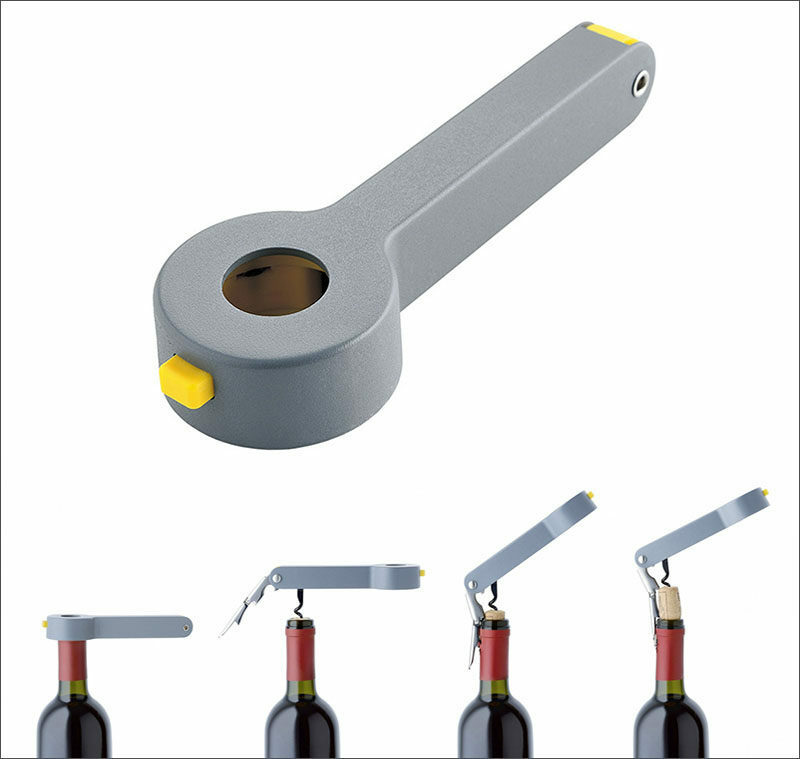 Modeled after the wrench you’re likely to find in a toolbox, this two-in-one seal cutter and corkscrew is the only tool you’ll need in your bar box. 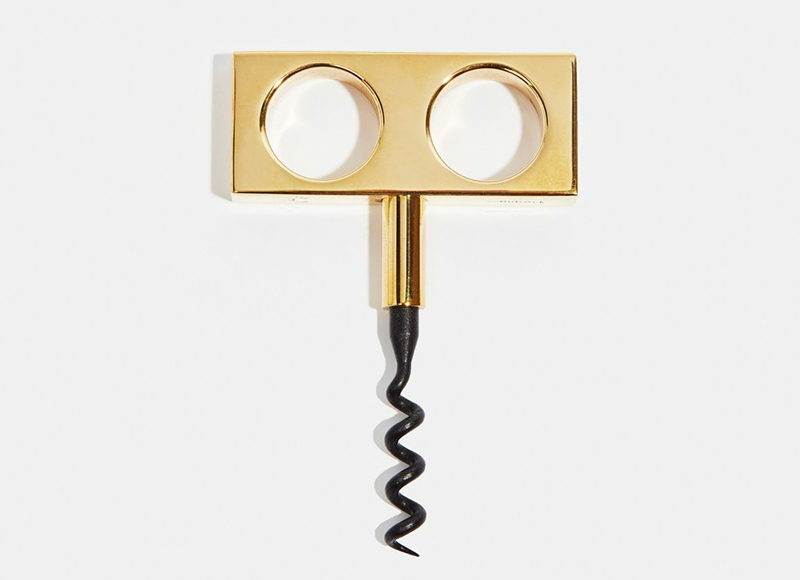 NOÈ – Sommelier Corkscrew designed by Giulio Iacchetti for Alessi. 7. 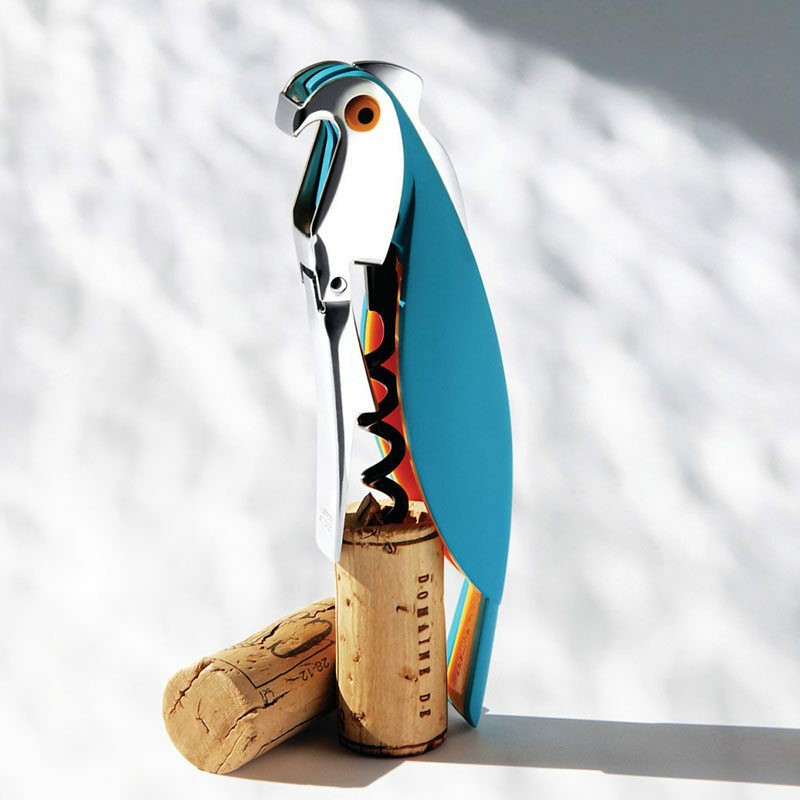 Make opening a bottle of wine more fun with this parrot inspired corkscrew. Parrot Sommelier Corkscrew. Designed by Alessandro Mendini. Available through Alessi. 8. 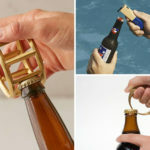 This cork remover took the spin out of the corkscrew to create a whole new bottle opening experience – wiggle the two legs into the sides of the cork, twist and pull! Klingenkorkenzieher “Bilame” by Atelier du Vin. Available through MoMA. 9. This elephant corkscrew adds a whimsical element to your sophisticated bottle of wine. 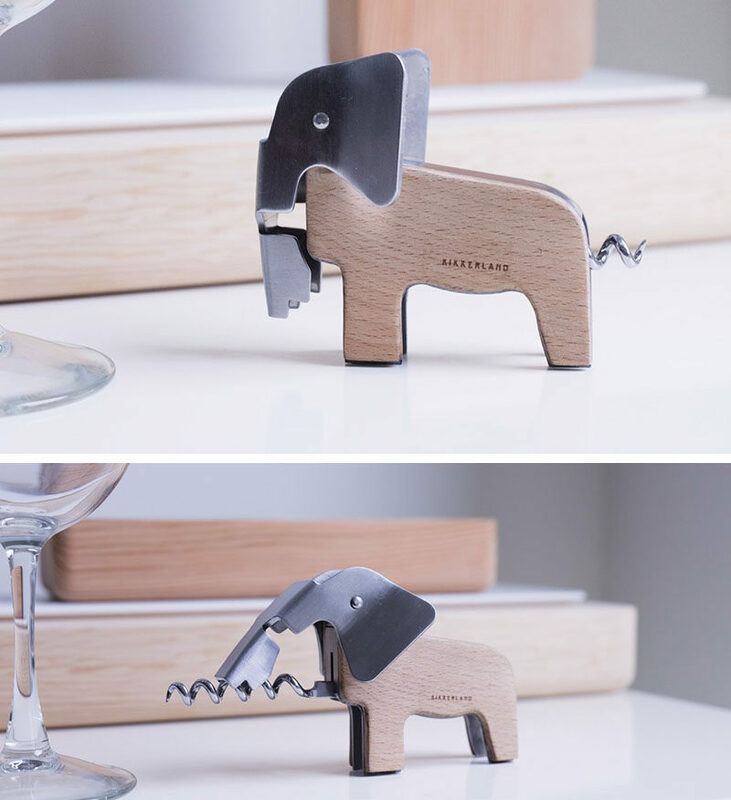 Elephant Corkscrew from Kikkerland, available through Amazon. 10. 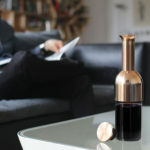 Effortlessly open that bottle of wine with this sleek electric wine opener that does all the hard work for you and can open up to 30 bottles on a single charge. 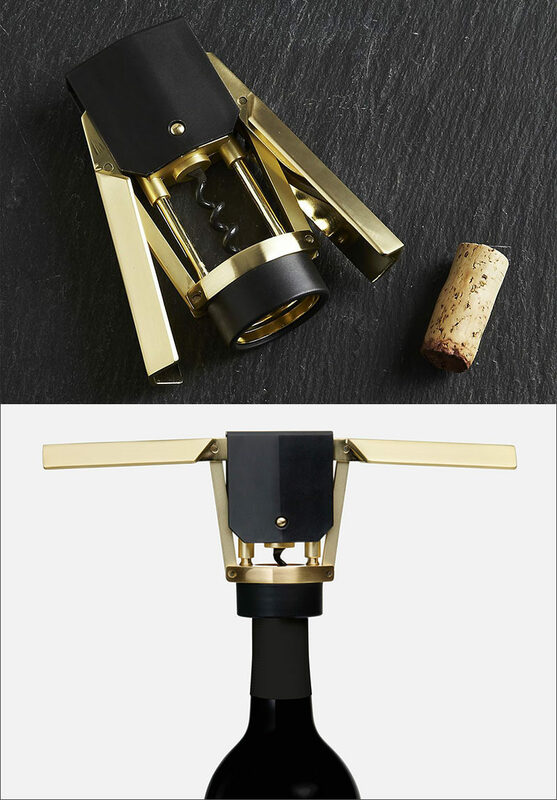 Electric Corkscrew by RBT Barware.